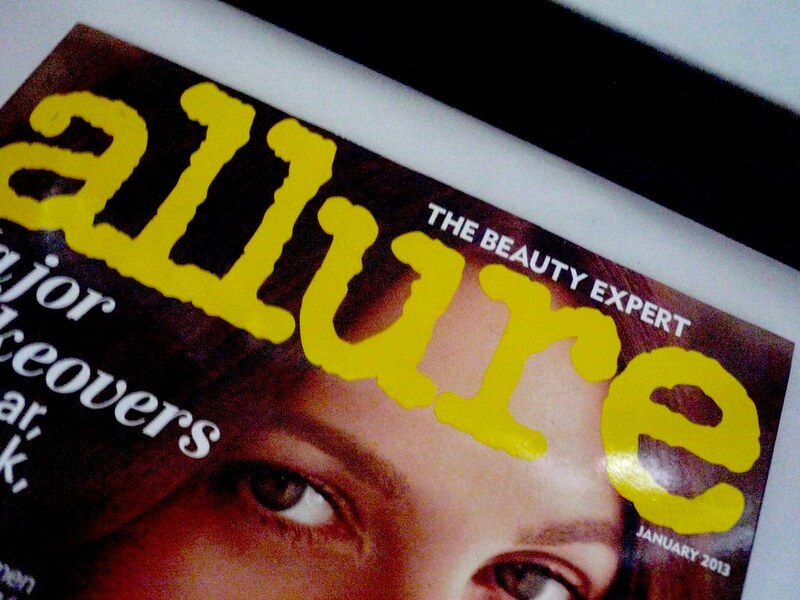 Allure Magazine 'The Beauty Expert' is an American magazine that, unlike traditional women's print magazines which is mostly fashion with a tiny beauty section, consists of articles almost entirely comprised of beauty advice, tips, tricks and trends - although the occasional reference to fashion is made. Allure is beginning to have a bit of a moment here in the UK among beauty bloggers. I'll be completely honest with you, until I watched the gift guides from Lily Pebbles and Vivianna Does Makeup I had no idea this magazine even existed. After this Lily Pebbles mentioned it again in a Haul style video and, as I am prone to impulse purchasing, I decided to seek it out online for myself. I found a website called News Stand which allowed me to buy a single issue for £6.26 instead of a 12 month subscription (like everyone else I found in the UK was offering). I didn't want to subscribe to a magazine that I had never read so even though the price is astronomical for one magazine I ordered it anyway. It arrived within three days as its this month's issue that I ordered, although with News Stand you can order next month's if you don't like the look of the current issue (handy). It was thinner than I expected it to be which was a little disappointing. I imagined it to be as thick as an Elle or Vogue issue. Nevertheless I had a quick flick through to introduce myself to the layout, house style and try to deduce the level of interest I would show it. Firstly, something new to me, is the fact that the adverts and the articles are almost half and half in the division of content (most magazines I buy tend to have more adverts than actual magazine). The information is quick firing and easy to digest in the form of bullet points, numbered steps or bite-size paragraphs that don't use huge technical terms but like any woman imparting information to a friend would. 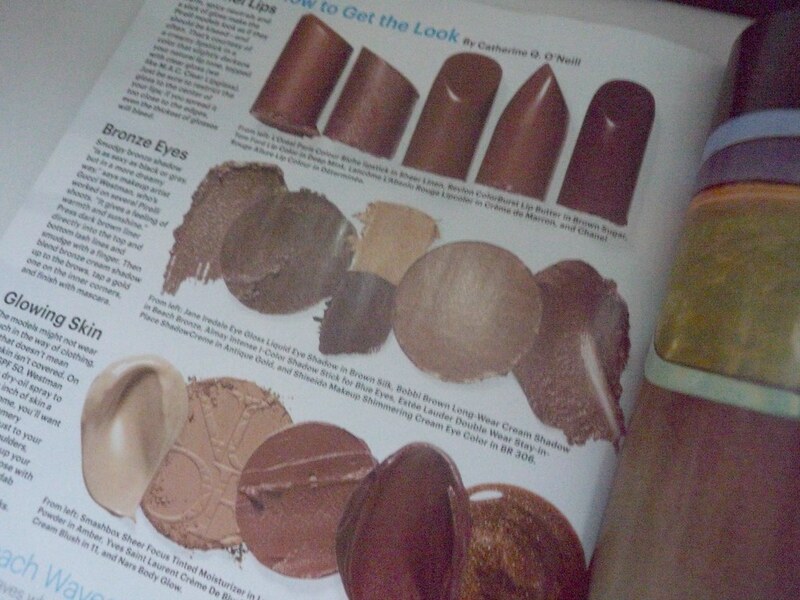 For a beauty lover it's the equivalent of a bible. I've learned a lot from this magazine so far and what is more they use real women with real bodies in their tutorials and make-overs - always a refreshing change from the flawless models we're all used to seeing airbrushed. The only 'con' for me is the price which I understand needs to be elevated because of shipping costs and postage. A full subscription will cost a lot of money but I feel like I now need to have it - especially if I want to continue blogging about the trends and really looking after myself. Allure is my favorite! I should consider getting a subscription. I love it for exactly the reasons you said- it's mostly beauty related. Their Best Of Beauty is my favorite thing to read of the year. I really want to read this mag. I might buy one issue like you have done to see if I like it. I wish there were more beauty only magazines. 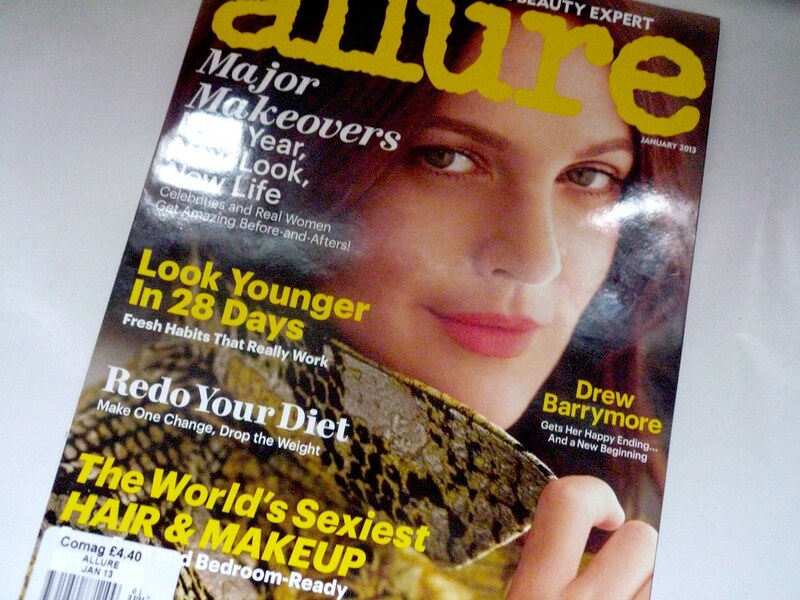 I started buying Allure the year it came out in the early 90's. It's always been my go to when I want to know about new products but now that I have blogs I don't spend the money on it. Britain could do with something similar though don't you think?